Cassie Hart is a WVJC student who is expected to graduate from the Pharmacy Technician program in February of 2018. When Cassie graduated high school, she began studying Safety at Fairmont State. She attended FSU for one semester, but knew something was missing. She wanted a college that was smaller, more personable and closer to home. She found WVJC! She loved WVJC after learning more about the Pharmacy Technician program. The fact that it was so close to home was an additional benefit! Cassie chose the Pharmacy Technician program because she knew several people working in the field and heard many positive things about it. She was most excited to learn how many different types of jobs are available in the field. You can work in hospitals, retail environments, and different kinds of pharmacies! “There are great job opportunities in the pharm tech field,” she says. Cassie’s favorite part of attending WVJC-Morgantown is the hands-on element of the classes. “WVJC has made me think about my future more and has really affected my life”. Cassie says that the most influential person during her time at WVJC has been Jamie, her Pharmacy Technician Director. “Jamie has taught me so much. 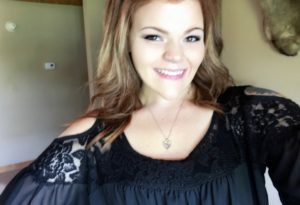 She helps me a lot and gives her students a lot of one on one attention.” In five years, Cassie hopes to be working as a Pharmacy Technician at Mylan Pharmaceuticals or Ruby Memorial Hospital. For important information about the educational debt, earnings, and completion rates of students who attended this program CLICK HERE.